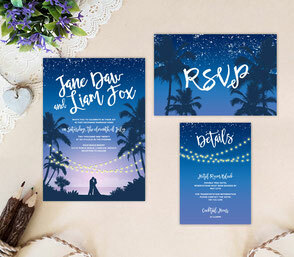 Since you’ve always loved the salty ocean breeze and sand between your toes, the wedding of your dreams will of course be held on the beach! 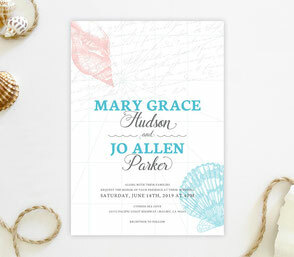 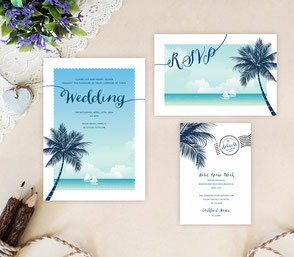 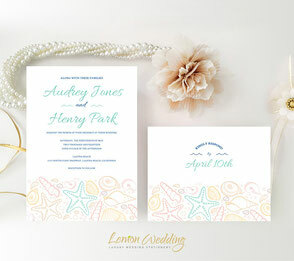 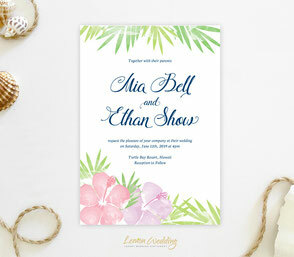 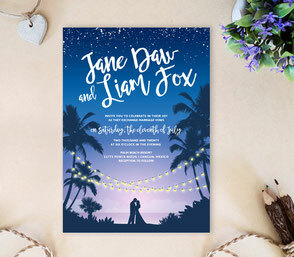 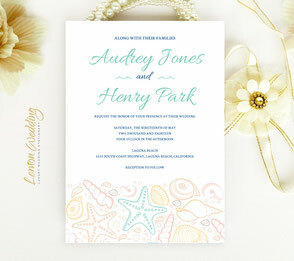 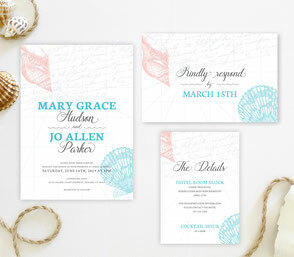 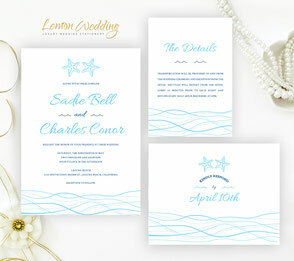 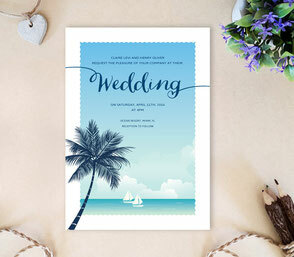 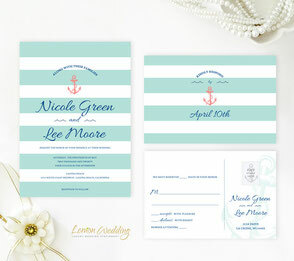 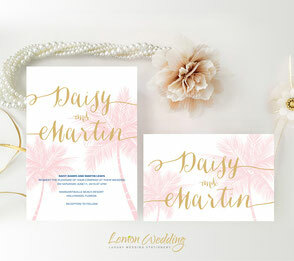 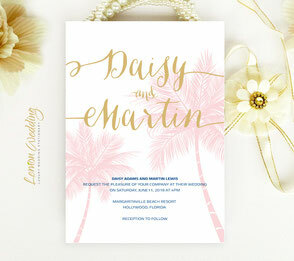 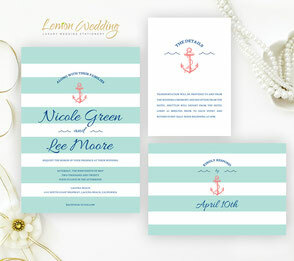 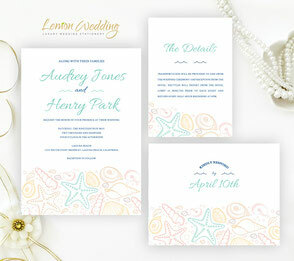 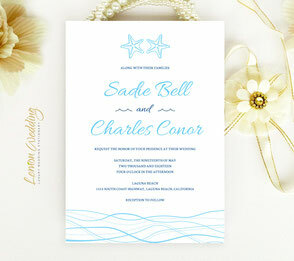 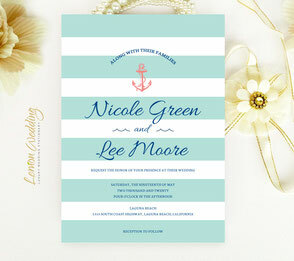 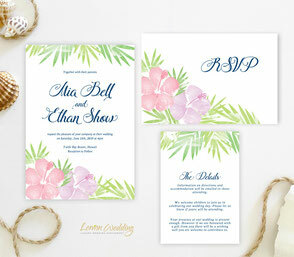 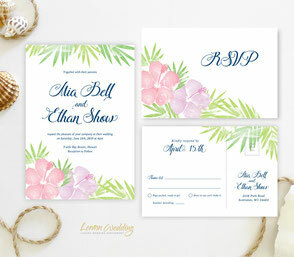 Now let your friends and family know they’re invited to your seaside ceremony with one of our Beach Wedding Invitations. 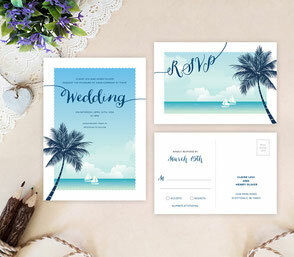 With over 15 unique designs, our cards feature everything from beautiful seashells to tropical beaches and nautical stripes. 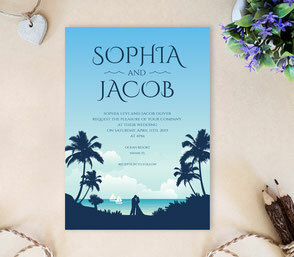 So no matter where your wedding takes place, you’ll certainly be able to find an invite that will complement the seaside location. 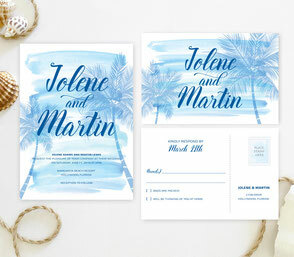 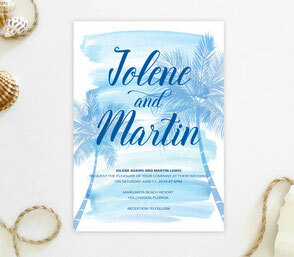 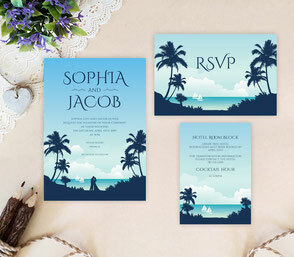 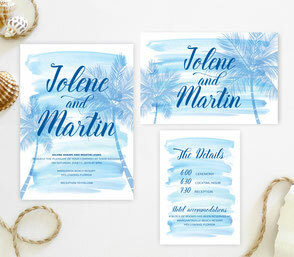 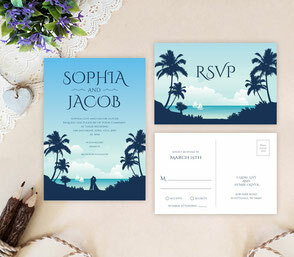 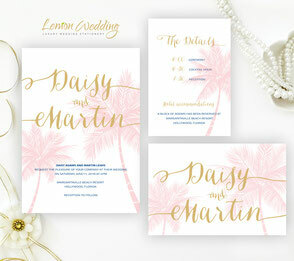 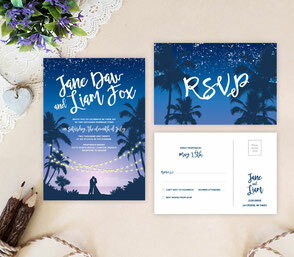 We offer affordable Beach Wedding Invitations packs printed on luxury shimmer cardstock and comes with wedding invitation, RSVP postcard and detail card.